novaPDF 8.8 is now available. The latest version adds several new Macros for names as well as proxy support for activation and several other updates. 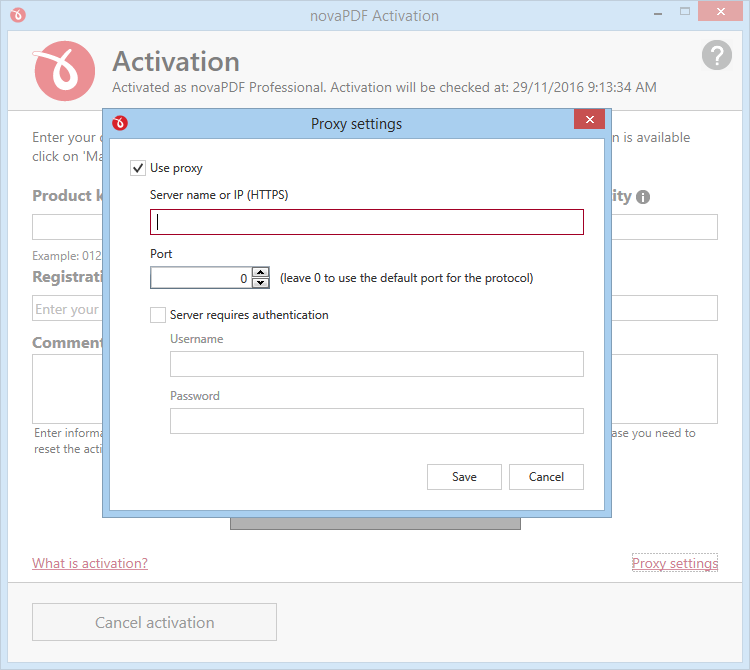 You can download the latest version here: Download novaPDF 8.8. However, this version is not free for users of previous versions of novaPDF (1.x – 7.x). If you own a previous version and want to test novaPDF 8.8, you can install a 30 day free trial here: Download novaPDF 8.9. NOTE: novaPDF version 6.x and 5.x are no longer supported. If you are still using one of these older versions we highly recommend an upgrade to version 8. This will ensure you get the latest updates and email support. Furthermore, novaPDF 7.x (and previous) has not been tested on Windows 10 so we cannot guarantee full compatibility. If you plan to use Windows 10 you should upgrade to novaPDF 8.x. We wish you and your family a Merry Christmas and a prosperous New Year! As 2016 comes to a close, we would like to take this opportunity to say THANK YOU for your business and support over the years. Please note that our offices will be closed between December 26th and January 3rd. Only urgent support emails will be answered during this period.